Peace To You, Jerusalem: As Abq Jew is sure you are aware, there have recently been "increasing tensions" concerning the Temple Mount - known in Hebrew as Har haBáyit (הַר הַבַּיִת), and in Arabic as Haram al-Sharif (الحرم القدسي الشريف‎), the Noble Sanctuary. When Israel regained political control over all of Jerusalem in 1967, General Moshe Dayan (others: Prime Minister Levi Eshkol) gave control of access to the Temple Mount to the Jerusalem Islamic Waqf. At the time, this seemed to many like the right thing to do. The Chief Rabbinate had forbidden any Jew from ascending to the Temple Mount before the Messiah came to guide the way. And in the meantime - we had the Kotel. But since then, all we've had is tsuris. Disaster, debacle, catastrophe, and near-disaster. And now, there are Jews who wish to ascend to the Temple Mount for prayer. Reasonable people with an abundance of good will can agree - or learn to agree - to share. But in the absence of reason and good will, Abq Jew has a plan. 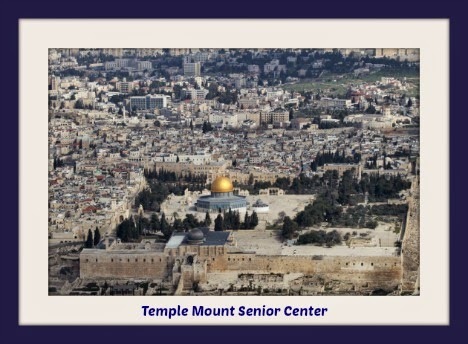 Let's turn the Temple Mount into a Senior Center. Actually, Israel has already tested this plan. Just a couple of weeks ago, the Temple Mount / Noble Sanctuary was - for one day - only open to those over the age of 50. Since most of the trouble comes from those under the age of 50, this plan successfully reduced the overall level of violence in the area - for one day. Abq Jew proposes that the Temple Mount Senior Center plan be adopted immediately and sent out for bid. Access to the Senior Center would be granted only to those with a valid IIIARP (International Israeli and Islamic Association of Retired Persons) card. The entire Temple Mount would be made wheelchair- and walker-accessible, and would be upgraded to comply with the Americans with Disabilities Act (ADA) and similar international measures. The outside areas would be covered with greenery, shrubbery, walkways and tennis courts - as well as an urgent care center, drinking fountains, and public restrooms. The Dome of the Rock would go GREEN - and be transformed into an indoor swimming pool, complete with a delightful water-flowing-over-rock sculpture. Electricity to keep the water warm would be provided by a series of high-tech solar panels (see Abq Jew's idea of how this might look). Abq Jew threw in the "Just kidding" because citizens and aliens who land in the Land of Enchantment have been forced to jettison their sense of, and appreciation for, sarcasm - before they are permitted to set up shop here. 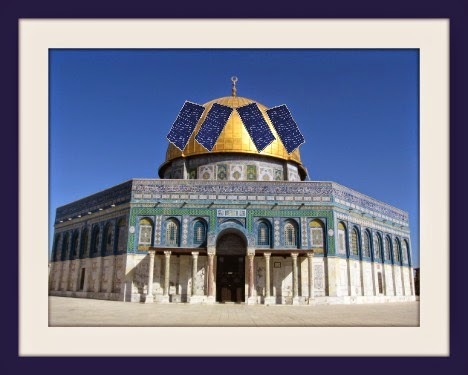 Abq Jew prays that Jerusalem will again be the City of Peace, and the Temple Mount a House of Prayer for All Nations. Which brings Abq Jew back to Yehoram Gaon. 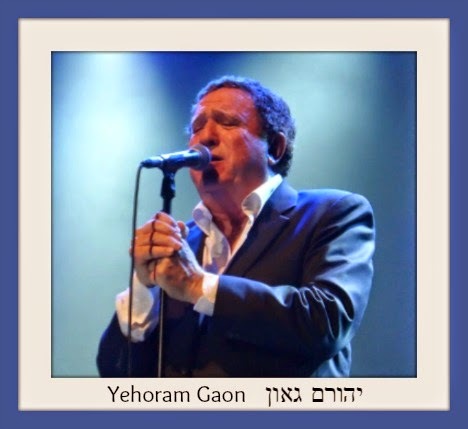 Yehoram Gaon is considered one of the major proponents of the Israeli culture and entertainment worlds. As Israel's all time most popular singer, gifted actor, TV and radio host, writer, poet and publicist, Gaon has a long list of performances on stage and screen in both movies and on television. He has produced and directed plays and movies and written and edited books on Israeli culture and tradition. Yehoram Gaon was born and grew up in Jerusalem. One of his (many) famous songs is Me'al Pisgat Har HaTsofim - From the Peak of Mount Scopus - whose translated lyrics you can view here. the Messiah will come, will come.